The Member States of the Common Market for Eastern and Southern Africa have approved a resolution to set up a new initiative to enable their countries to build their capacity to link the upscaling of fertilizer tree technologies with their fertilizer subsidy programs. The initiative will enable COMESA Member States to regenerate their soils and create a more sustainable agricultural system for farmers, particularly the small-scale farmers who are currently benefiting from their input subsidies programmes. At the national level such an initiative can significantly reduce fertilizer importation bills, and save considerable foreign exchange in fertilizer importation, while increasing food crop yields and production, thus generating more rural employment and contributing to food security, particularly for the rural poor, and contributing to more sustainable economic growth and national prosperity. Fertilizer Subsidy Programmes (FSPs) are a visible means for governments to show support for farmers. But these programs are expensive. Currently, ten African governments spend an estimated US$1.05 billion annually—an average of 30 percent of their agriculture budgets—on FSPs (IFPRI, 2014). COMESA Member States with FSPs include Ethiopia, Kenya, Tanzania, Rwanda, Zambia, and Malawi. This number will likely increase given that many governments plan to further scale-up their FSP programs. These FSP programmes were meant to help smallholder farmers invest in fertilizer inputs, overcome limited access to input markets, and ultimately, to increase production. In some countries the FSPs were meant to be temporary, i.e. the subsidy was meant to help farmers out of perpetual poverty and then graduate them; but the hard reality is that most FSPs have not been successful in that respect. Governments face many choices on how to best spend their limited resources on development projects. FSPs tend to crowd out investment in other important areas of agricultural development, especially in agricultural research, which have proven to have a very high rate of return on investment. But ISPs are politically popular and are thus predicted to be here to stay. However, governments can achieve far greater benefits from these programmes by investing in complementary areas, such as programs to improve soil fertility in an integrated manner, so that the returns to fertilizer use are higher and more sustainable. This will make buying and applying fertilizers more profitable for farmers, which is the rationale for the new EverGreen Fertilizers Initiative. Agroforestry is the integration of trees into crop and livestock systems. It is one of the most promising approaches to addressing climate change and evolving a climate smart agriculture (CSA) in Africa. It achieves this objective because it increases agricultural production, enhances the resilience of the farming system, and sequesters more carbon in the biomass and soil than other agricultural practices. It is also one of the most effective ways for smallholder farmers to reverse land degradation on their farms, and to regenerate their soils in a manner that requires little or no cash investment. 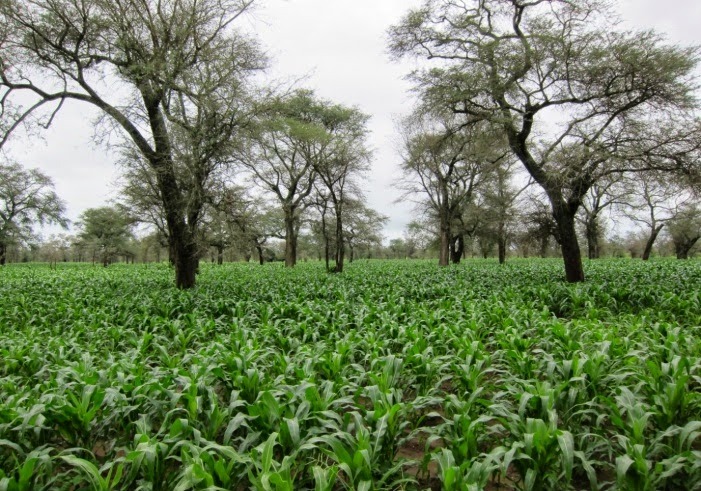 Practical systems for intercropping fertilizer trees in maize farming have been developed and are being extended to hundreds of thousands of farmers in Malawi, Zambia and other COMESA member countries. The portfolio of options includes intercropping maize with coppicing, fast-growing N-fixing trees, such as Gliricidia sepium, or integrating full-canopy fertilizer trees such as Faidherbia albida into the cropping system. Faidherbia is an indigenous tree that is widespread on millions of farmers’ fields throughout the eastern, western, and southern subregions of the continent. It is highly compatible with food crops because it is physiologically dormant during the rainy season. It sheds its nitrogen-rich foliage at the beginning of the wet season, and only re-foliates at the beginning of the dry season. Thus, it exhibits minimal competition with food crops grown in association with it, while enhancing their yields and improving soil health. Fertilizer trees can be established at medium-to-high densities in crop fields by planting the seedlings, or by farmer-managed natural regeneration of trees that are nurtured from trees that sprout from tree stumps, roots or germinating tree seed in the fields’ soil bank. A meta-analysis of studies on the effects of fertilizer trees on maize yields found that they have significant positive effects. The doubling of yields is not uncommon (Sileshi et al 2008). The upscaling of these practices will contribute substantively toward meeting the commitment of the African Heads of State in Malabo to ensure that 30% more households in Africa are resilient to climate change-related risks (Malabo Decision, June 2014), and to achieving the 25by25 vision within the context of the Africa CSA Alliance and the CAADP Climate Change Programme (25 million farmers practicing CSA by 2005). Fertilizer tree technologies (FTTs) have been scaled-up so far mainly through conventional extension programs. However, interest is rapidly developing to further incentivize agroforestry investments on the farm by linking them to government fertilizer subsidy programs in the region. By linking the adoption of fertilizer trees with fertilizer subsidies, countries can provide for long-term sustainability in fertilizer nutrient supply at reduced cost, and build up soil health as the basis for sustained yields and improved fertilizer response efficiency. This will enhance farmer investment in the purchase of inorganic fertilizer. Furthermore, most of the mineral fertilizer received by farmers is usually applied over a far bigger area than that recommended by the extension agents resulting in mineral fertilizer application rates as low as a quarter of the recommended rates. In such situations fertilizer trees complement these small doses of mineral fertilizers. The establishment of these biological fertilizer factories on the farm will enhance the impact of the input subsidies. Farmers would be encouraged to produce more of the nitrogen required by their crops on their own farms, increasing and sustaining their crop yields and improving their soils. This can foster a gradual shift of investments from short-term fertilizer subsidies to sustainable on-farm fertility regeneration, opening up a subsidy to sustainability pathway. A successful pilot project to scale-up fertilizer tree technologies is currently being implemented in Malawi that involves 10,000 small-scale farmers. Plans are under way to expand the program to 30,000 farmers by 2016. This is part of the Malawi’s National Agroforestry Food Security Programme that has been implemented in districts across the country for many years. In Zambia, fertilizer tree technologies have been extended on a large scale through the Conservation Farming Unit’s extension programme, and through private sector-sponsored extension programmes, particularly in Eastern Province. Research and extension programmes on fertilizer tree technologies have also been promoted in Mozambique, Rwanda, Tanzania, Kenya and Ethiopia. These provide the base and experience for creating the appropriate models for connecting with the FSPs in these countries. In April, 2015, the Southern Africa Beating Famine Conference (www.beatingfamine.com) convened a special event to to share and discuss the vision and ideas surrounding the initiative, discuss the best approaches to developing the initiative, and to encourage participation in the planning activities to carry the agenda forward. · Providing technical support to COMESA Member Countries interested to develop EverGreen Fertilizer Subsidy models adapted to their unique conditions. · Research on the development of EverGreen Fertilizer Subsidy models, pilots and programs suited to the unique contexts of each interested Member Country, including appropriate incentives to accelerate adoption and integration of fertilizer trees and mineral fertilizers.